I was hesitant to call this masterpiece “dessert” hummus because that implies that eating it in-between breakfast, lunch and dinner would be a no-no. But that’s most definitely a yes-yes. In fact, I encourage it! “Dessert” merely implies that this isn’t the salty, garlicy luscious legume fest that we’re usually drooling over. This is the sweet, chocolatey, peanut buttery kind that kills me every.freaking.time. I could tell you to eat it with apples or gluten-free-sugar-free-taste-free cookies, but lez be honest and say that the vehicle of choice here is a spoon. Or a shovel. For whatever reason, this delicacy grows exponentially in deliciousness after it has been refrigerated. The texture is STUPID good. You’ll know what I mean when you taste it. The moral of the story is that good things come to those who wait, so let your lovely legumes chill in the fridge for a good hour or two before you faceplant into them. I originally created this recipe as one of the forty for my pals over at Simple Truth, so if you’ve already seen it over there, I’m sorry for the repeat. But this is so darn good that I had to share it over on this space, too. It would be straight-up rude not to. Go make thissss okeee bye. 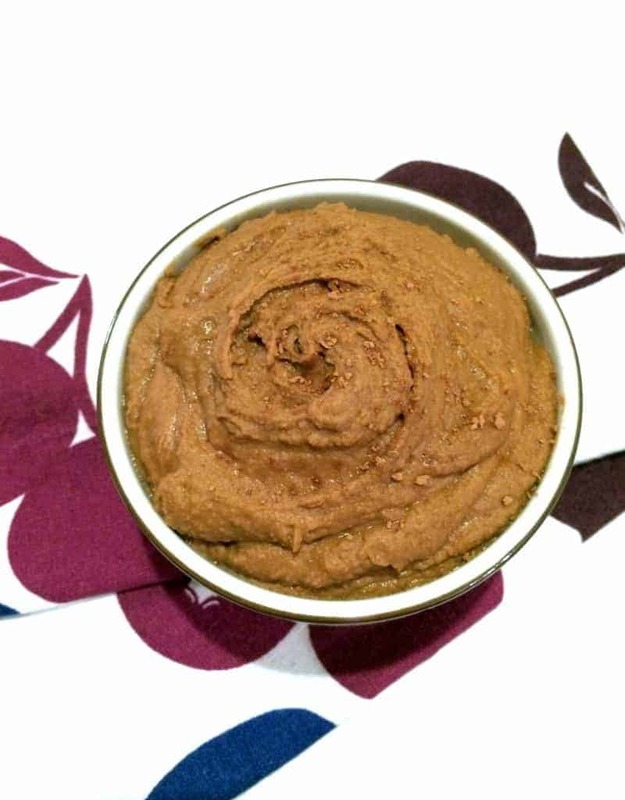 A sweet twist on classic hummus, loaded with creamy peanut butter, cocoa and pure maple syrup! Drain chickpeas and rinse very well. 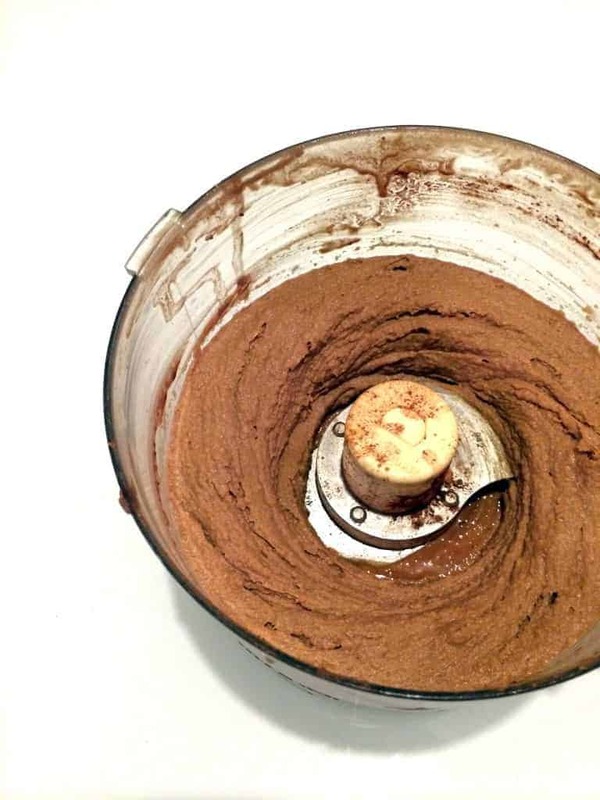 Combine all ingredients in a large food processor. Serve with pretzels, apple slices, cookies, graham crackers, etc. Don’t forget that you have until this Thursday to enter to win six tubs of Root hummus! « Mediterranean Salmon Burgers + Roots Hummus GIVEAWAY! YUM! Brilliant dessert idea Alexis! This looks too good for a spoon -I think I am gonna need a shovel! You’re so right–a shovel, indeed! LOVE dessert hummus and LOVE PB and chocolate, so this basically is a match made in heaven! It’s my new fave combo! So heavenly. I’m thinking fistfuls…but as mentioned, post-beano. You’re spot on! This is TOTALLY like chickpea cookie batter :) AKA heaven! What a super hummus! And I definitely wouldn’t save it for dessert. This is for anytime. What a creative idea! Hummus has always been a savory snack in mind. I love that you went to opposite direction… and no, there’s no need to save it for dessert. Glad we’re in agreement! Hummus is just fabulous, sweet or savory! This look amazing, how creative! I just so happen to have ALL of these ingredients…I think it’s a sign? ;) And seriously…how amazing are chickpeas? They can do so much! It’s most definitely a sign! You NEED to make this, lady. Ermagherddddd. Sub some AB for the PB and I’d be face planting right into this. I’ve never tried dessert hummus before, but I’m thinking that’s what I’ll be doing with the can of chickpeas that’s been hanging out in my pantry for far too long. Fo shooooo girl! Dessert hummus is seriously the bomb. I want to start a line of sweet hummuses!!! What a great idea! 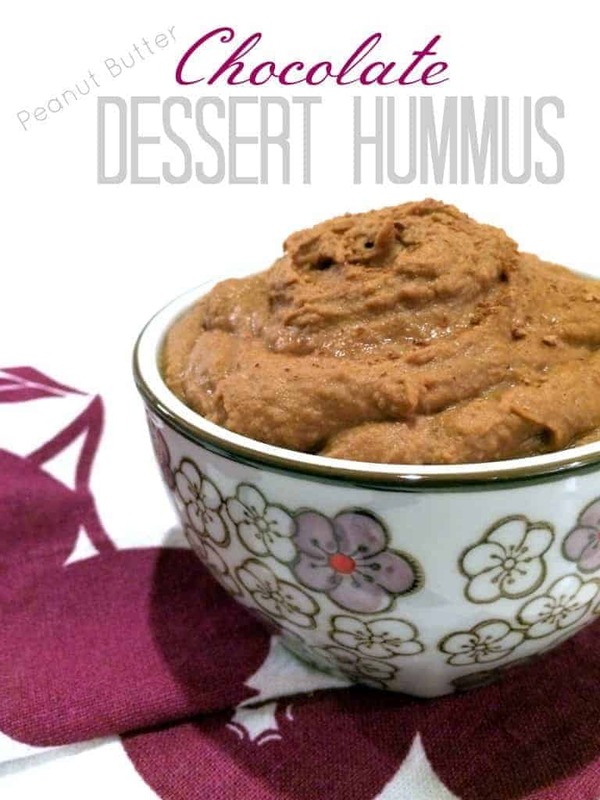 I need to try this because I’ve never had a sweet hummus. The flavour combinations sound so yummy – chocolate and peanut butter are life. I would potentially be willing to suffer the stomach consequences to eat this…. Or in the chickpeas for potatoes. Just kidding… Or am I? This is totes worth the tummmy troubles…I promise. I def want to faceplant in this right now!! YUM! How about I just eat this for breakfast and call it good? Deal? Deal! Love that this is a chocolatey creamy deeelicious treat with nothing but good-for-you-edness in it! I’m dying to try it! I say that’s a delio, my friend! I just finished the rest of it and I’m kind of mourning. It’s my new fave! It’s the BOMB with apple slices. Literally, it’s all you need in life. I’m about to make another batch and buy a gazillion apples at the store for dippage! I’m totally intrigued by this! It sounds delicious! I bet this is delicious with an apple – I usually just use peanut butter but this sounds so much better! I just finished it off with my last gala apple…off to the store I go! Bahaha you DO need it right now. It’s seriously beyond delish! This dip was a huge hit at a birthday party, and my toddler loved it, too! Yesterday I decided to wing it and make a similar dip. My husband even liked it! Chickpeas, almond butter, water, vanilla, dates, coconut cream, and cinnamon. Yum! Oh my!! YUM YUM YUM! I just made it and it’s chilling in my frig!! YUM YUM YUM!! That’s a 6 YUM rating. Very rare when it comes to beans and chocolate. The black bean brownies and the chickpea chocolate chip cookie didn’t come close. I know this is sacrilige, but I ran out of chick peas and used navy beans. In case you’re wondering, they are a most excellent substitute. Next I’ll have to try the snickerdoodle hummus. Are you thinking of a chocolate chip cookie hummus? Brownie hummus? Pleeez!! Will this survive if I freeze it? I’m going away and I want to be able to just defrost it to eat again when I get back! This is perfect! I was looking for an easy healthy fruit dip other than the same old fruit dip people normally make. This will be perfect to liven up the kids’ school lunches. A little tip on the juice from cans – I always save any can-juice from beans, veggies, etc. and freeze to use in future soups or as the base to cook rice, quinoa, etc. I also save the juice from canned fruit (not the syrupy kinds), add water and freeze into pops or we just drink it as a juice. I’m so glad you liked it, Dana! Teach the sentence words for preparing materials to cook. a 6 quart is probably your best bet. Yum! Would be good with strawberries, too!